On Saturday I was walking down Brunswick Street in Fitzroy with my daughter, when I spotted one of Miso and Ghostpatrol’s paste-ups – one of the ones depicting themselves in fox masks. 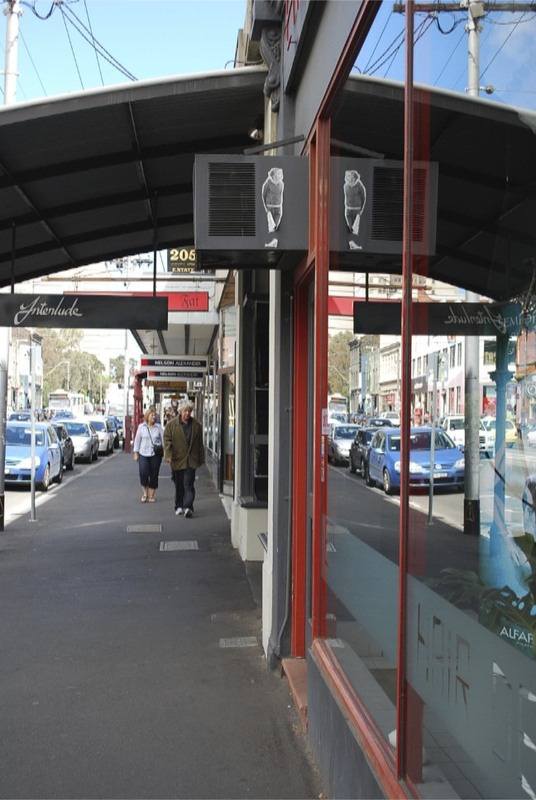 The image was pasted up on the side of an airconditioner, positioned high outside a hairdresser’s. In the midst of my embarassment at not realising how well-developed her awareness of street art is becoming, I felt a huge sense of delight and pride – both in her ability to recognize the artists who had made this artwork, and in her growing up with an interest in and appreciation of art in the street as well as in galleries and museums. Mind you, knowing what happens when ‘teenage rebellion’ kicks in, she’ll probably join RAGE or something when she grows up. (Hope not!) But for now – all good! 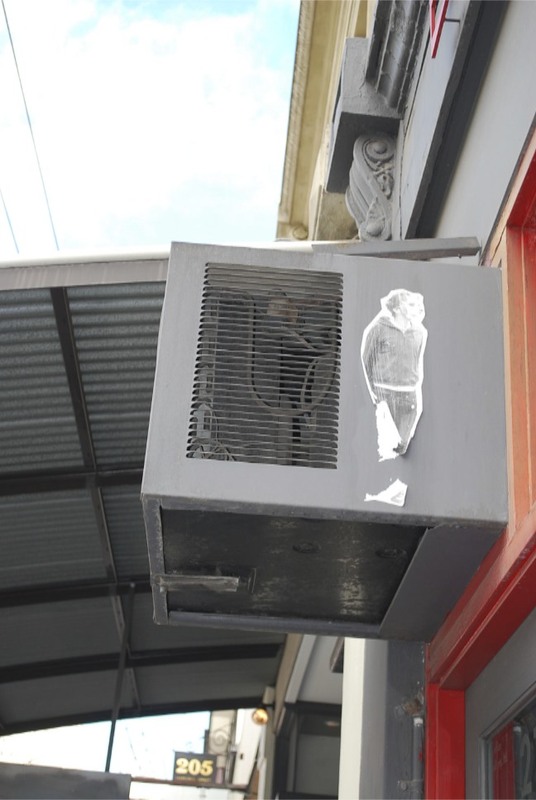 « What Banksy did next…. Or you will have the conflicting feeling when she hands you a fine for $550. “what did you put up dear?”…will the feeling depend on whether it was a tag,throwup or a piece.